Catch the Spirit of HeartFelt in San Antonio! As I was spending time with friends and family in the Alamo city, the idea of a HeartFelt event during the holidays in San Antonio presented itself. 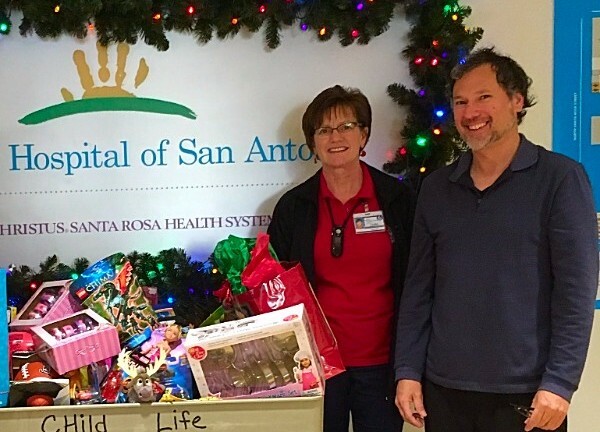 I was able to collect donations of new toys from friends there, and with the strong support from the MSIA Community in Austin, HeartFelt was able to make a large donation to children with the misfortune of having to spend Christmas at the hospital. Minister Jennifer Halet was able to make the drive down from Austin and accompany me for the event. YAY! Happy Holidays and Blessings to you all. Newer PostMagic, Merriness and Santa, Too!